Many legends like Janis Joplin, Roy Orbison or Buddy Holly and today’s superstars such as Beyoncé or Selena Gomez are connected by their love for music – and one other important note: their Texan origin! The Mid-Southern US state is widely appreciated as the cradle of music, its capital Austin is considered „The live music capital of the world“. Hardly no other place on earth offers as many musical inspirations as Texas does, where visitors are accompanied by all sorts of different styles upon arrival at Austin’s airport and into the smallest villages. 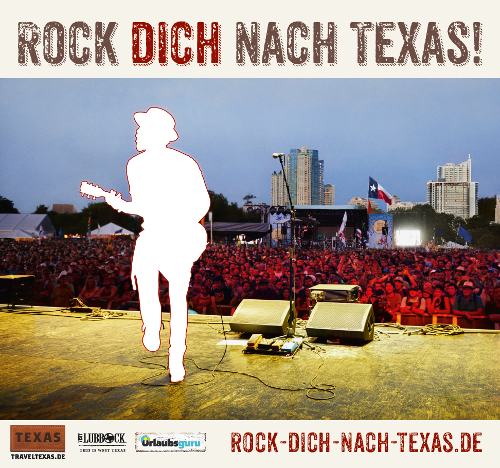 Starting now, fans become rockstars themselves in Cologne, Münster, Dortmund and Bochum – and win a trip to Texas, as we activate Texas’ “Year of Music 2018” with our promotion tour “ROCK DICH NACH TEXAS”! In co-operation with TravelTexas and Visit Lubbock we call for your most rocking short performance. No excuses are accepted as we provide you with all you can ask for: music, guitars, cowboy hats, vintage microphones and much more. 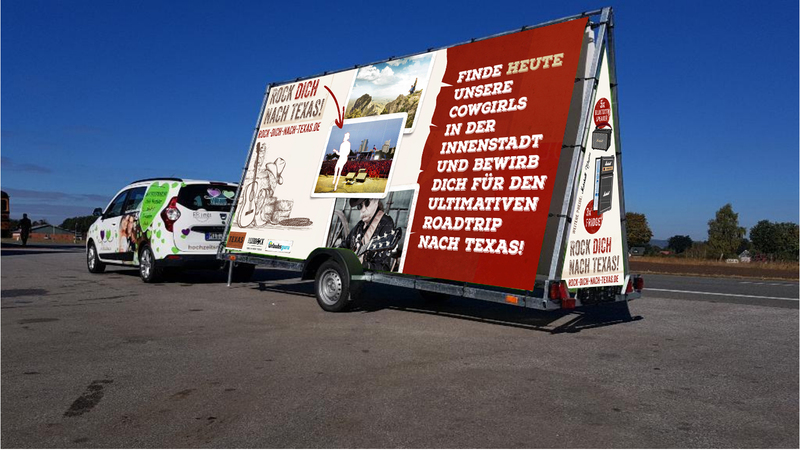 Follow our XXL promo vehicle to find the mobile cowgirl teams in the cities’ hotspots and have your rocking .GIF produced, as this is the only way to participate in the sweepstake. 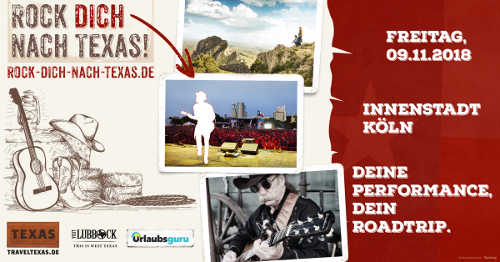 The ultimate roadtrip to Texas, worth 3.000 Euros and provided by Urlaubsguru, awaits the lucky winner. For those who nonetheless missed the cowgirls, those who live in different cities and those who simply are not made for the stage: Do not worry, cool prizes by Marshall are waiting for you! Ready to Rock `n Roll?